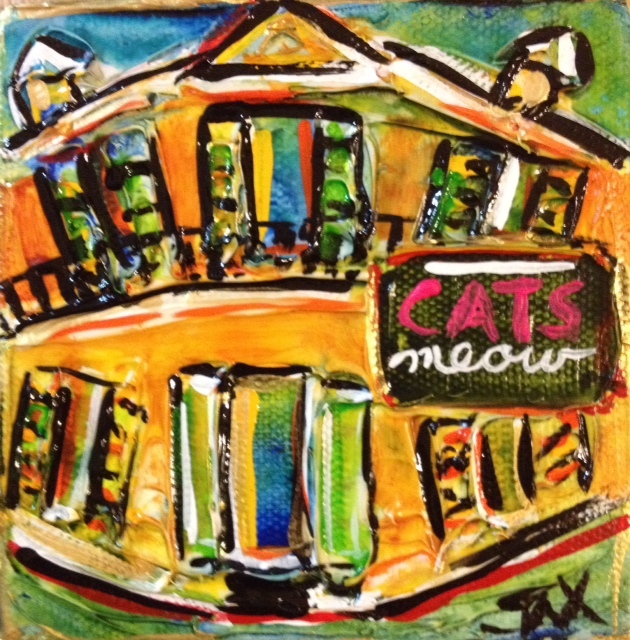 This canvas, hand painted by local artist Jax Frey, features the famous Cat’s Meow! Her collection features famous spots around the city, and each is a unique creation. Order yours today! 5 oz. (4″) x (4″) x (1.75″). Local Art. Canvas. Be the first to review “Cat’s Meow Wall Art” Click here to cancel reply.